Women resonate with the moon. We have our moon cycle and we harmonize with its waxing and the waning. The We Moon Circle honors the phases of the moon as well as the wheel of the year with its eight Sabbats or High Holy Days. The We Moon Circle has been meeting for eight years. Monday is moon day, the day of the Goddess. The group celebrates the feminine versions of the Divine, honoring the maid in spring, the mother in summer and the crone in fall. 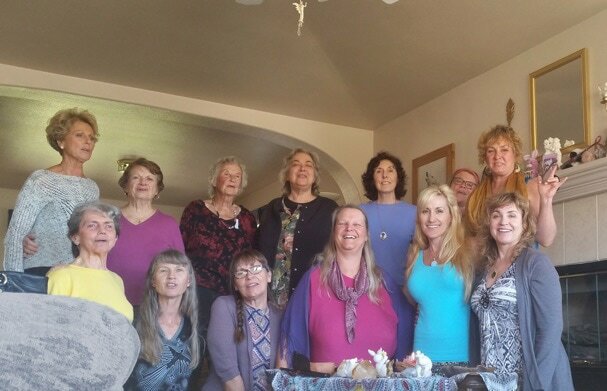 This women’s circle welcomes new members and meets in Arroyo Grande CA, near Santa Maria. If you would like to attend or join the group, please contact Doris at (805) 929-0866. "I've always known that Josephine was brilliant. But after I heard her speak, I thought, oh my gosh... Genius!"